At One Casino, you’re welcomed to the world of online casino by its fluffy mascot whose put a savage offer on the table. Register an account with One Casino now and get €10 free, no deposit required! One Casino not only offers an exceptional casino welcome bonus, but it also provides players with an impeccable array of casino games. This includes; slots, live casino, bingo and more! Check it out now for a sharp gaming experience. 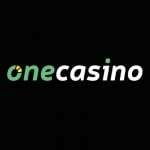 Register with One Casino today and get a free casino bonus, no deposit required. These are few and far between these days, so if you’re offered it, grab it with both hands! The casino want you to put out the feelers and get a good understanding of its functionality, that’s why you’re presented with this free bonus. Once you’ve registered, you’re automatically lined up for those wicked promotions that are updated on a daily basis. One of the most important features found at any online casino is its game selection. Not only do you get an outstanding welcome bonus, you’re gifted with a library of casino games. Once you hit the landing page, a massive collection of the most popular casino games is at the forefront of the site. Such games include; Starburst, Hotline, Twin Spin Deluxe, Planet of the Apes and Aloha! Cluster Pays. To make things that little bit easier, the games are categorised on a navigation bar. These are divided up into sections such as; Top Games, New Games, Video Slots, Exclusive Games, Live Casino, Table Games, Other Games. A quirky feature found at One Casino is that 40 of the games are exclusive games developed by the One Casino team! One Casino understands the importance in delivering top class games that are being produced by the most respected game developers on the market. That’s why you can expect to see software providers such as NetEnt and Evolution Gaming pop up on site. If you’ve got a weak spot for live casino games then you’ll be thrilled to see the presence of Evolution Gaming at One Casino, which is home to the sleekest, intuitive and exciting live casino games in the gambling world. If it’s a selection of top-class promotions you’re looking for, One Casino could be the casino for you! Just check out its promotions page, where you’ll find a healthy list of exclusive club membership benefits to cash back schemes and deposit bonuses! Our personal favourite is the cashback scheme that quite literally hands you back some cash you’ve lost. Sometimes you’re going to hit an unlucky streak. All you need to do to be eligible for this is be a regular customer at One Casino! What about deposits and withdrawals? We can say with certainty that you’ll want to deposit after your first no deposit bonus! The payment methods on site are varied and widespread. 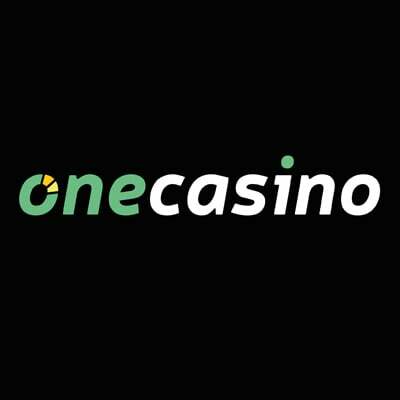 One Casino facilitates for major debit and credit cards like MasterCard and Visa as well as eWallets like PaySafe Card, Skrill, TargetPay and others. There’s a very informative and well-laid out customer support section at One Casino. Once you click on customer support or ‘Help’, you’ll be guided to a landing page with a number of FAQ tabs. This includes withdrawals, deposits, bonuses technical issues and more. If none of these fit your query, you can simply send an email, live chat or phone the helpline! Reach out to the support team at +356 27 782 188. Languages that feature at One Casino include English and Deutsch. Restrictions will apply where online casino use is prohibited in the country the gamer resides. In particular, countries prohibited from playing for real-money at One Casino include; USA, Syria, Cuba, Iran, North Korea and Sudan. Find One Casino’s terms and conditions here.